CPM-S30V and CPM-S35VN stainless steels were developed by Crucible Industries, an American company that produces specialty steels. They worked with famous knife makers like Chris Reeve to create new steels specifically to be used for knives. 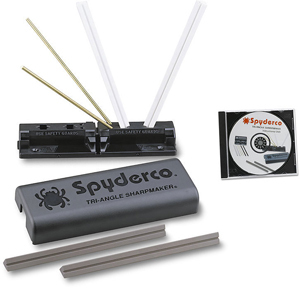 First came the well-balanced S30V with its amazing edge retention and high corrosion resistance. Then S35VN came along and upped the ante in regards to toughness and its ability to be polished. Some may argue that S30V has lost its super steel status because it has become so prevalent in the EDC knife world. At KnifeCenter, we still hold high regard for S30V and S35VN steel – their Particle Metallurgy construction adds additional toughness thanks to the very refined grain structure, and the vanadium in their composition helps these knives cut better than those that rely on a higher chromium count. In layman’s terms: these knives cut, and cut very well. If you’re thinking, “yeah, that’s great and all, but I can’t really afford a knife with such high quality steel”, we agree – these steels come at a price. There are plenty of mid-tech knives out there sporting S35VN steel that can easily cost you four-hundred bucks. We understand the importance of having top-notch steel, though, so we’ve pulled together our top five sub-$100 knives with S30V or S35VN steel. Now you can enjoy a premium EDC knife without losing a big chunk of your paycheck. Cold Steel’s Code 4 folder utilizes their world-renowned Tri-Ad lock, which was designed by Andrew Demko to be one of the strongest knife locking mechanisms on the planet. Why S35VN over S30V? Cold Steel is a known purveyor of some of the toughest knives out there, and S30V does have a reputation for micro-bevel chipping during tough use. S35VN’s elemental composition improves that aspect of the steel, so it’s a better option if you’re looking to do some more serious cutting work. Also, this knife perfectly shows off S35VN’s ability to be polished compared to S30V – just look at that high satin shine. This knife gives you all the cutting power of high quality steel in a lightweight package that perfectly complements any EDC. In our opinion, the Vantage is one of the best affordable everyday carry knives on the market. From the molded nylon/CNC-contoured G10 handles to the dual steel liners, this American-made folder’s built to be a knife that you actually use every day – EDC isn’t just a title with this one. Joe Talmadge, a master of blade geometry, claims the S30V steel you’ll find on this knife might be the ultimate in high-end stainless steels thanks to its superior performance and sharpenability compared to other super steels in its class. 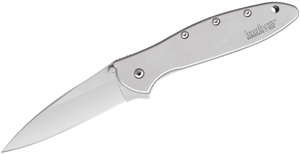 The Kizer Sliver’s sleek design is complemented by the high end materials – S35VN steel and uniquely worked aluminum handles. This knife is precision machined and engineered to the finest tolerances. While the S35VN steel is the cherry on top of this cake, it’s the orange handle that sets this knife apart. The overall shape gives off serious trapper knife vibes, and we are into it. White River Knives doesn’t get the recognition that it should. In our experience, all we’ve seen from this knife company are truly great products. In fact, this is one of our favorite skeletonized neck knives on the production market. White River rounded the finger cut out so perfectly on the Backpacker that ‘comfortable’ doesn’t even begin to cover it. S30V steel is perfect for skinning knives and neck knives because its bailiwick is precision cutting. The Kydex sheath allows you to wear the knife on your belt in two ways, or around your neck if you attach a lanyard. To round out the list, we’ve got one of Spyderco’s greatest knife designs of all time paired with S30V steel. In some knives, it’s obvious certain materials are the reason for the price – be it premium steel or Micarta scales. With the Native 5, you’re getting an all-around great knife. Compared to the standard Delica or Endura’s VG-10 steel, the S30V is a pretty big upgrade. Many say this is Spyderco’s best pocket knife option on the market, and we have to agree – this knife easily rivals the performance of knives double its value. 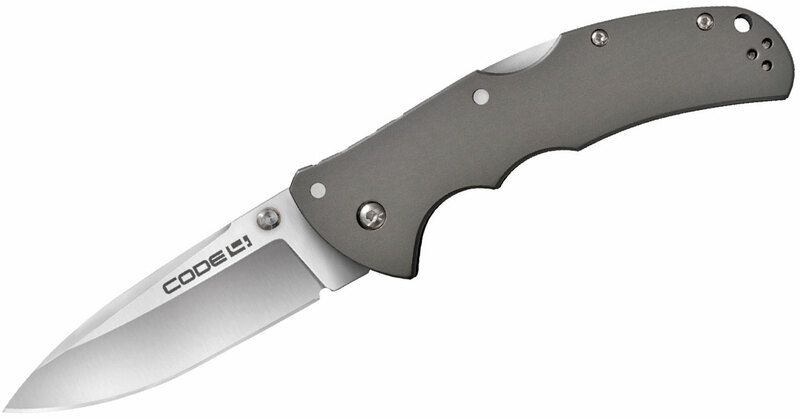 There you have it – KnifeCenter’s top 5 sub-$100 knives with S30V or S35VN steel. There are other options out there, but we honestly feel that these knives provide some of the best bang for your buck. Now that these super steels are becoming much more common in the EDC knife market, prices are just going to become more and more accessible to a wider range of people. In our opinion, that’s the best way to run the knife game – because everyone should have steel in their pocket. Why not make it some of the best? The latest addition to the Spyderco line is the folding Puukko design by Pekka Tuominen, the Nilakka, and what a cool knife this is. Based off the successful Spydero FB28WDP Puukko and adapted for the folding knife enthusiast, the Nilakka is unlike any other knife in your collection. The squared off G10 handle is robust, comfortable in the hand and will not rip up your pockets. 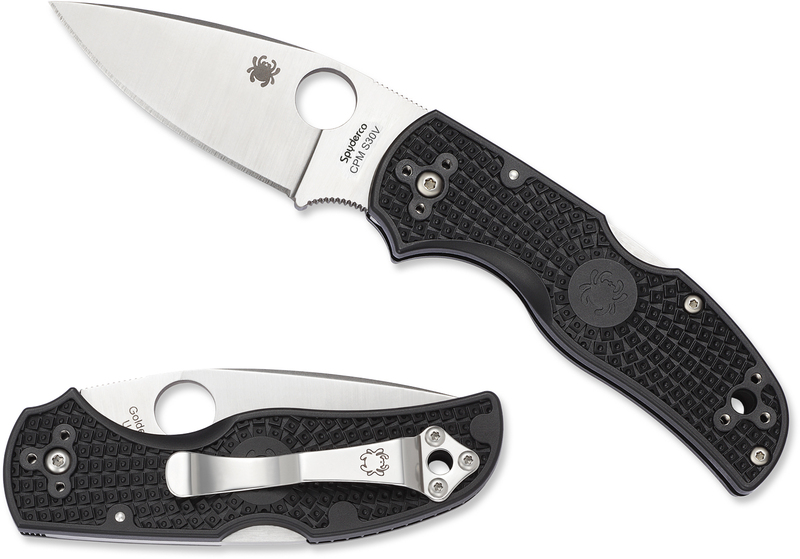 The knife buries deeply, opens smoothly and locks up tightly – as with all Spydercos. What makes the Nilakka unique is the zero grind it incorporates all the way down the blade to the cutting edge. There is not a separate bevel on the edge, which makes resharpening the knife more difficult but this kind of grind is unparalleled in slicing performance. You can find this unique folding knife at www.knifecenter.com. Zero Tolerance has become well known in the knife community for making wide blades of quality materials and near-unbreakable toughness. People around the world have been calling for a slimmer, lighter knife built to the same stout standards and ZT responded excellently with the model 0780. Loosely based off the ZT0160 combat fixed blade, it incorporates features from different Kershaw and ZT knives to make for a useful and ergonomic design. It’s got a solid skull crusher on the end, nicely textured G10 handle scales, and a four-position deep carry pocket clip for secure carry. The 3.5″ S30V blade has sharp, functional jimping on the spine and can be opened with either the flipper mechanism or the tapered thumbstuds that Kershaw uses on the Blur models. 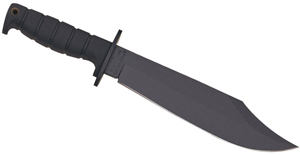 The knife has an entirely black tactical look but at 4.0 ounces and very slim in the closed position, it is definitely the right size to have on your person at all times. Check out this new EDC combat folder from Zero Tolerance at www.knifecenter.com. New one of a kind knives from Chris Reeve! When it comes to production knives, Chris Reeve stands alone atop the mountain. He has made many innovations and collaborated on designs that have forever changed our industry. He is the father of the one-piece knife concept, with his original model MK IV, the chief innovator of the Reeve Integral Lock, commonly referred to as a Frame lock, and was even crucial to the development of S30V stainless steel. He worked alongside the Crucible Materials Company to develop the first steel specifically designed for the cutlery industry. The various inlays, CNC machined graphics on the handle scales or beautiful Devin Thomas Damascus steels can make your production knife one of a kind. If you don’t love Chris Reeve Knives, then you probably haven’t handled one – they’re that awesome. Check out all the Chris Reeve fixed and folding offerings and the new one of a kind models while they last at www.knifecenter.com. 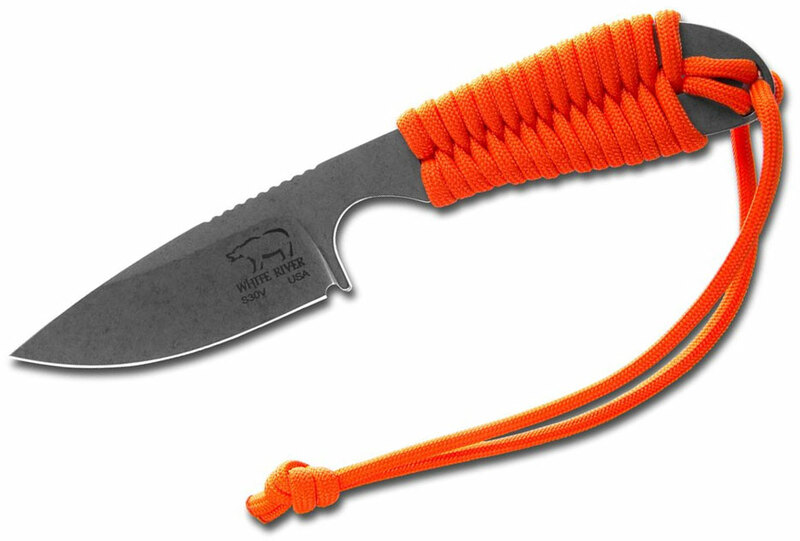 White River Knife & Tool was a new brand from Michigan that we discovered at the Blade Show in Atlanta this past month. They are producing some extremely high quality, functional knife designs and we knew they were a brand we had to offer to you guys. We chose to go with their cross-over Izula style knife, the Backpacker, and their small utility neck knife, the Knucklehead, thinking these models a pretty good representation of their overall brand. What sets White River Knives apart from the competition is that they’re machining all of these in-house from one solid piece of S30V. This stainless steel, from Crucible Materials Company, was the first steel specifically formulated to be used in knife making. Prized for it’s superior edge holding capabilities and corrosion resistance, CPM S30V will perform as well as your 1095 Carbon steel camp knives but rust at a fraction of the rate, even without the coating. All White River Knives come with a handmade Kydex sheath, an attached lanyard, and can be found at www.knifecenter.com. The design my be quirky and unfamiliar to most but in no way does that mean that it’s an inferior tool. In the case of the new Zero Tolerance 0750 assisted folder, the unique blade and handle shape actually make it a superior knife for many different applications. Designed to be especially useful for draw cuts and in the reverse grip, the talon shaped S30V blade is an absolutely ferocious cutter. The reverse curved handle is surprisingly comfortable to use normally but it really shines in the reverse grip, locking into the hand very tightly. This makes this knife a superb last ditch tactical defense weapon for more powerful slash cuts and you can find it at www.knifecenter.com. New for 2012 in Benchmade’s Blue Class is the 483 Shori designed by Seiichi Nakamura. This joins his overwhelmingly popular 480 Shoki design, 2008 IWA Knife of the Year, and the 482 Megumi as some of the most elegant gentleman’s folders produced by Benchmade. Excellent size, weight and materials are the heart of the knife, but the ergonomics are it’s soul. For a small knife without any jimping, the knife locks into place very well with minimal fear about your fingers sliding forward onto the blade. The other aspect that sets the Nakamura series of knives apart is their use of the Nak-Lok, which acts like a cross between a lockback and frame lock but has a button you push to actuate. This design allows for ultimate strength in both the upward and downward direction of the blade and keeps your fingers clear from danger when closing the knife. The Shori is an excellent knife and you can find it at www.knifecenter.com.